Follow Me.Going Fishing - Follow Me. This post originally appeared as an article in the September 13th issue of The Catholic Post. I was never a good fisherman. As a kid, my brothers and I often drove the pickup loaded with fishing poles and tackle to a nearby pond. There my brother taught me how to put the hook and bait onto the line, and to cast it and wait for something to bite. When the only things I caught were algae and tree branches and I almost lodged a hook in someone’s eye, I quickly realized that I wasn’t patient enough for fishing. So I would wander off and play, throwing rocks in the lake and talking loudly. For some reason my brothers didn’t catch much of anything either. Years later, as I was preparing for ordination, I learned the significance of the first disciples’ vocation. Fishing takes concentration. Like meditation, one has to become patient and still, staring into deep and mysterious waters. Those who are called to the priesthood – and really, any disciple of Christ – must learn how to be “go deep,” especially in this superficial age of ours with a twenty second attention span. That is because God himself is deep. He is the unfathomable mystery, into which we are called to spend all of eternity diving deeper and deeper. The human soul is also deep. Long-married couples are continually rediscovering each other, and each human is a mystery even to himself. So to begin to know God, or another person, or even oneself, a person must be like the patient fisherman, always ready to set out into the depths. Is it any wonder, then, that St. Peter was called to “put out into deep water” before he “left everything and followed Jesus” to participate in his salvific mission (Luke 5)? As promoter and recruiter of priestly vocations, this passage is continually before me. I knew that Jesus desires to give us an abundance of priestly vocations so that we can continue receiving the divine life that come from the sacraments and preaching of the Gospel. In order to draw out these vocations, we have to learn how to “put out into deep water.” We must become people of the interior life, practicing prayer and meditation every day, and teaching the children in our families, parishes, and schools to encounter the presence of God in the sacraments and in the depths of their hearts. St. John Vianney said, “The priest is not for himself, he is for you.” We have all been recipients of the grace of Christ flowing through the priest. We have all experienced that magnanimous outpouring of divine life that comes through the feeble humanity of an otherwise-ordinary man. We experienced it at baptism, in the Mass, in reconciliation, and through his preaching and counsel. Without the priest there is no Eucharist, no forgiveness of sins in the confessional. When many good, holy men are raised to the altar of the priesthood, the whole Church flourishes, and the laity are affirmed as sons and daughters of God. Their daily sacrifices are joined to Christ’s in the Eucharist and are imbued with a new dignity. Christ is calling us as a diocese to be absolutely convinced that there are priestly vocations in the familiar waters of our families and communities. We simply have to set out into the deep with Jesus and find them. 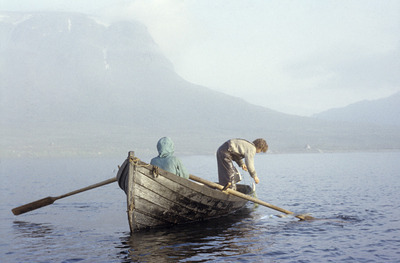 Peter told Jesus, “Master, we have worked hard all night and have caught nothing.” He was sure there were no fish there, because he was an expert. Yet, in obedience to Jesus, he set out. Many of us who are priests were written off at one time or another. Many other men go through life unaware of their vocation to the priesthood because they haven’t had that priest, relative, teacher, or parishioner ask them to consider it. Many are raised in an environment that thought priesthood as a “lesser option” for those who couldn’t make it as husbands and fathers or as professionals. It is time to turn this thinking on its head, and to realize that the call to the priesthood is an incredible one, filled with joy, vitality, and challenges that must be met with courage and selflessness. Vocations to the priesthood are in our midst. We have a duty to pray for them and promote them. If we want lively parishes centered around the Eucharist, reconciliation, and authentic preaching of the Gospel, then we too must set out into the deep with prayer and sacrifice and begin to build a culture of vocations. Every single one of us has this task in front of us. So let’s go fishing.